A Summer Tamarind is a return to previous recording styles and songwriting values. Martin had amassed quite a pile of songs both during and after the Light Program period but unless they had that particular vibe they didn't make it onto this album. The album was recorded at Martin's old friend Carl Seager's house. Carl plays some guitar and all the bass except Mulberry Harbour and Stella & Charlie which Martin took care of. Carl played all the REAL drums. The album has been well received and some say it's the best since The Greatest Living Englishman. Some may say that, that is up to them. 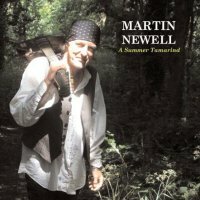 It's a lovely album and an essential addition to any Newell fans' wardrobe. Available from Cherry Red Records on CD and download.